Local administrators say they are taking steps to prepare for a school shooting in Oshkosh. Although school is out for summer, the possibility of a shooting when classes resume in a few months is something that continues to trouble students, teachers, administrators and police. “I think every person that teaches in a school is thinking about the possibility of it and we practice with that,” said Laury Krause, a special education teacher at West. 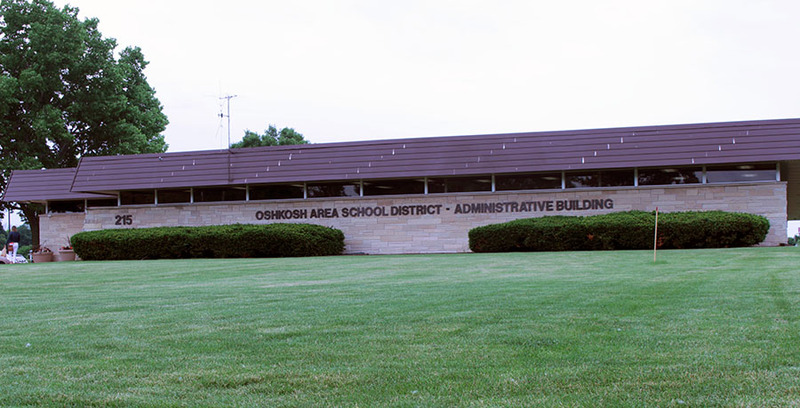 Administrators at the Oshkosh Area School District are awaiting word on the possibility of a $400,000 grant, would be used to increase security at local elementary and middle schools to achieve the same level of security of high schools. The changes would include adding shatter-resistant film to doors and windows and increasing radio and video surveillance at the schools’ entry points. The money would come from a $100 million pot set up by the Wisconsin legislature. On Thursday Attorney General Brad Schimel announced the latest round of grants, including $767,000 for the Appleton Area School District and $165,000 for the Menasha Joint School District. Meanwhile the Oshkosh Police Department has been working with OASD to implement ALICE training, a systematic approach to active shooter situations. ALICE is an acronym that stands for Alert, Lockdown, Inform, Counter and Evacuate. The program is becoming common among local school districts and works to create transparency and detailed instructions in the case of an armed intruder in a school. To prepare for this scenario, students, teachers and administrators conduct drills that outline a specific scenario to potentially prepare for. OASD also has formed a group called the Emergency Preparedness Collaborative Operations Team (EPCOT), which meets regularly to ensure that the district is prepared in the event of an emergency situation. Two collaborative groups meet once per month to have conversations with experts about school safety. Parents and grandparents of students are also concerned about the possibility of a school shooting in Oshkosh. Darryl Schmidt, a veteran picking his granddaughter up from summer school, suggested putting veterans to work as added security in schools. He also thinks we need to do better as a nation at parenting at home. Dana Behrend, the mother of a student at Oshkosh North High School, considers her children safe at school. But she thinks it’s important to keep guns away from children. To combat the mental health epidemic influencing national school shootings, Oshkosh is making an effort to treat all of the students in its district. OASD also offers other mental health support in all levels of schooling including Positive Behavioral Interventions and Supports (or PBIS) for elementary school students, which focuses on behavioral issues, Question Persuade Refer (or QPR), a suicide prevention training for teachers, and the Sources of Strength program which works to increase help seeking behaviors.